Christmas is officially over and I always hate to see it go. Now it's time to start cleaning up the dreaded mess that Christmas left behind. It's always a major task to start the clean-up but add a toddler to the mix, then you have a recipe for a disaster that may call for back-up help. I always get overwhelmed with so much that needs to be done after Christmas has passed. I often relax a few days before tackling the mess. By now, I'm sure most of you have made a dent in your Christmas clean-up but if not here are some great tips that I find helpful. 1) Start with a Plan - Don't tackle everything at once. This will wear you out and not much will get accomplished. Decide what is most important on your list to clean-up first. 2) Boxes- Dispose of all the boxes. Boxes take up twice the room and just makes the place look more piled up. 3) Totes- Purchase a tote or totes I should say. These are perfect for toy and ornament storage. They are perfect for any storage really. 4) Toys- Go through all of the toys that do not get played with. Donate or sell them. This makes room for the new toys that Santa brought and declutters the house. 5) Clothes- Go through all of the clothes that don't fit or get worn and donate or sell them. Closets can only hold so much! Make room for new clothes. Also make an effort to hang up all new clothes. Don't let them pile up around the home. 6) Organize- I can't stress this one enough. Organize the toys. I put toys in totes and bins throughout the house in different rooms instead of piling them up in one place. This way no matter what room Raylan is in, he will have something to play with and toys don't have to be dragged throughout the house. Organize your bake and cookware. Organize jewelry, clothes, books etc. Don't leave it laying around. I like to call mine an organized mess. My plan for Cleaning Up Christmas was spread out over a few days. I refused to tackle it all in one day. I was able to relax and still have a tidy home. 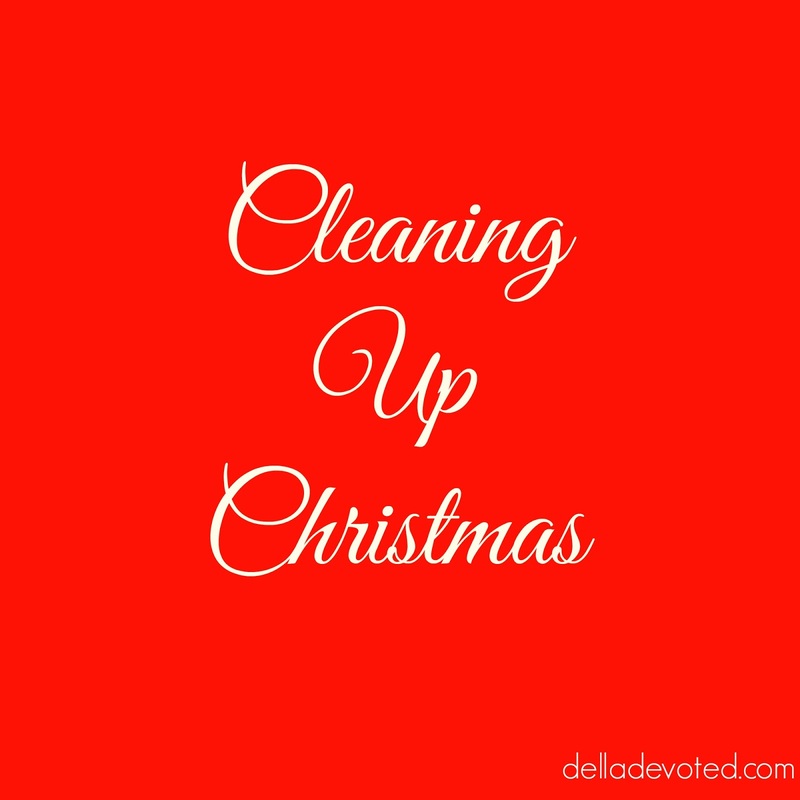 Cleaning up after Christmas does not have to be stressful and tiresome. So if you're still cleaning up or haven't started yet, please take my advice for a more easier way to organize your home with less effort. Christmas has come and gone once again. I always hate to see Christmas go. I just love Christmas. I love the peacefulness and beauty of it. I wish everyone would have Christmas hearts all year round. 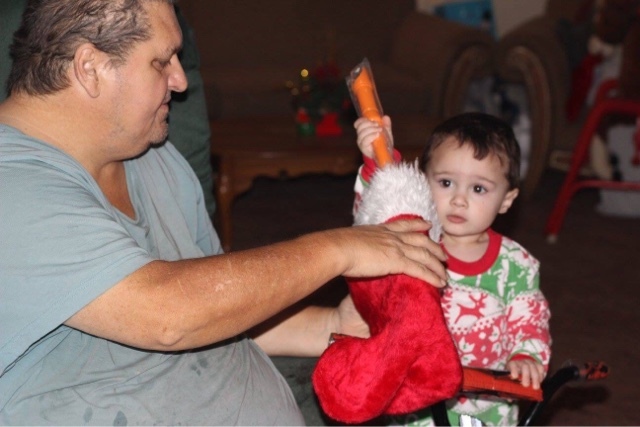 People generally seem to be more caring and nice during Christmas. If they were always like that, the world would be a much better place. I love love love this photo of us. We were all looking and smiling. It's just priceless! 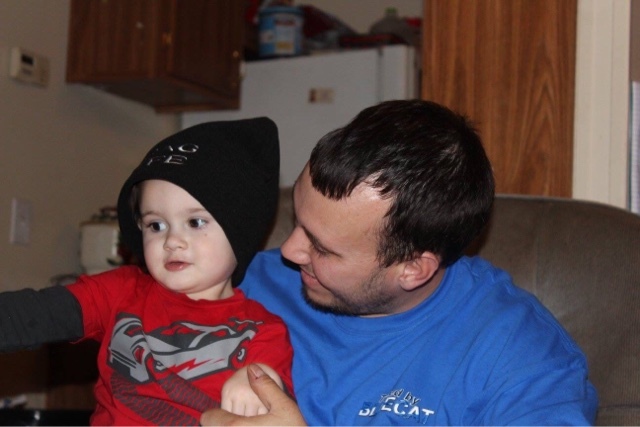 I absolutely adore this one with Justin and Raylan! And this one. 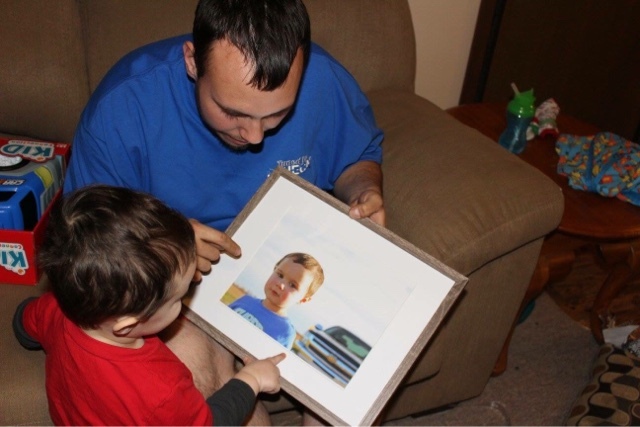 I took a photo of Raylan by Justin's truck and framed it. I wrapped it from Raylan to give to his daddy. Justin loved it! 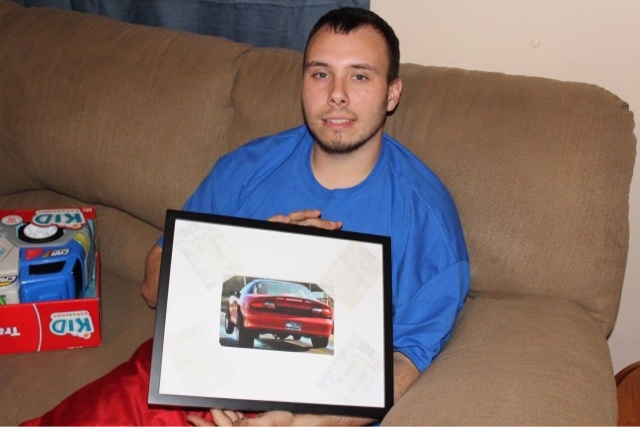 I also framed a photo of Justin's race car with some of his best time slips also in the frame. The car enthusiast in him really loved this one. I love giving thoughtful gifts that come from the heart. 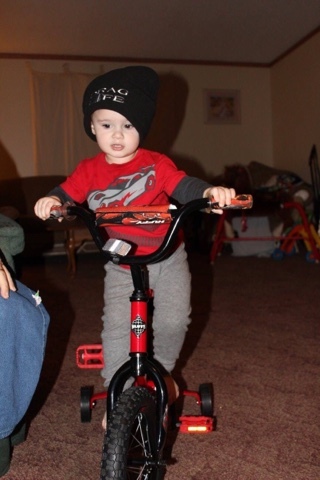 Raylan was super excited about his bike that his Popaw got him. He loves it! 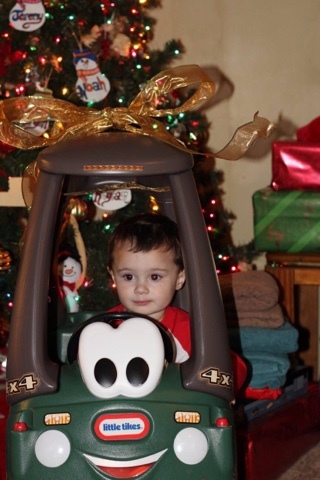 And he loves his car that his Meemaw got him. This year we didn't spend as much on Christmas. I decided to make some homemade gifts and baked some treats for friends. It was less stressful and more heartfelt. I decided to focus more on spending quality time with one another. These precious moments with family and friends were just so wonderful. 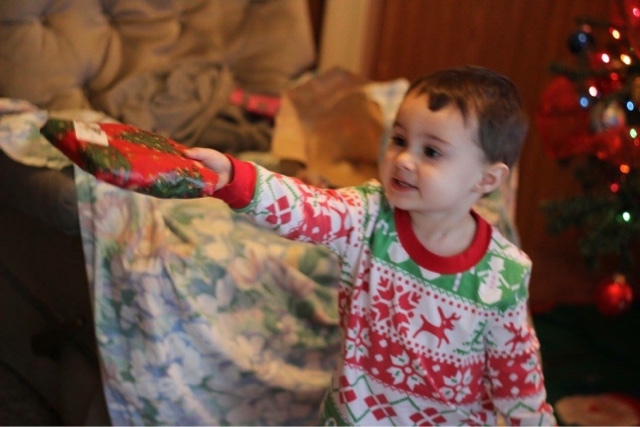 Raylan truly made Christmas so exciting. The best gifts that I have ever received was Salvation and Raylan. What more could a person ask for? I am a blessed woman! My cup runneth over! I would love to see your Christmas photos! I hope everyone had a wonderful Christmas! It's not about the presents but everyone's presence. God Bless You! 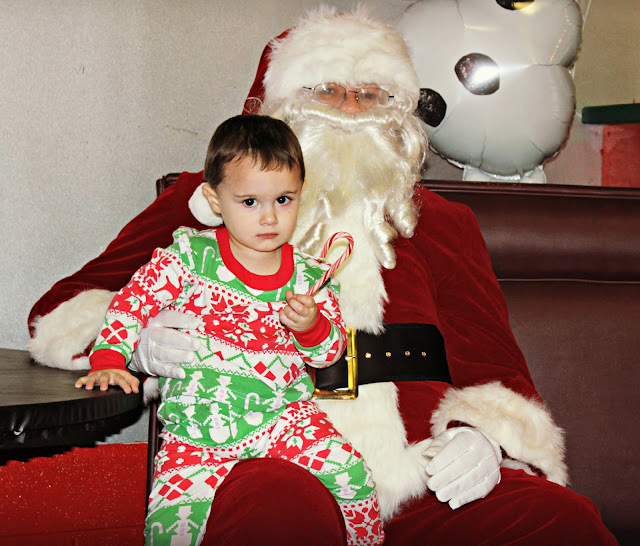 He was terrified of Santa and kept reaching for me and trying to run away. Poor Baby :( In his defense, I would probably be afraid of a big bearded man too that I didn't know. He finally calmed down long enough to get a decent picture, but sitting on Santa's lap wasn't happening. He also had to have his dinosaur with him too. This was as close to Santa as he was getting. So after that horrifying experience with Santa, I debated on whether or not I should take him again to see him. I was afraid that he would be scared again, but I also wanted him to get used to Santa. The second attempt went much more smoothly. This time it was all smooth sailing but no smiles. He still didn't seem to be thrilled by this big burly man. We hit a rough patch again for just a split second on the third visit with Santa. but once he got a better look at his stocking, his mood instantly improved. Great Idea Santa! I'm glad I took Raylan to see Santa on three different occasions. I don't want him to stay afraid of Santa like a lot of children are. I want him to have good memorable experiences. I think he is finally coming around to liking Santa. He points and says Ho Ho whenever he sees him on TV or in a picture. I thought these photos were too cute not to share. They are such funny moments that make for great stories and memories. 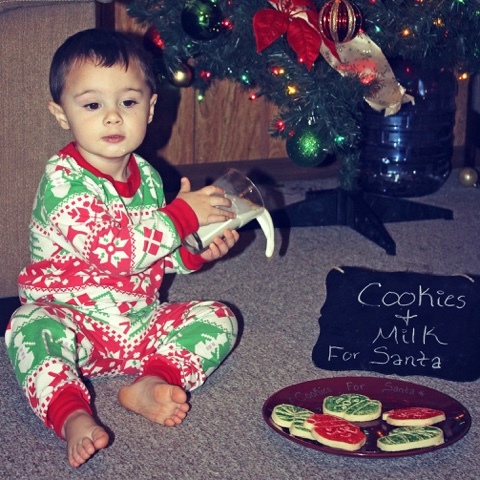 My friend Tif @ Bright on a Budget is also sharing her funny Santa Moments so please visit her blog as well. Her photos are hilarious! Thanks for stopping by! Have a very Merry Christmas! God Bless You! *The earrings in this post was provided to me by Brandzaffair in exchange for sharing my shopping experience with their website. However, ALL opinions are my own. It's the week of Christmas and I couldn't be more excited! I just love Christmas and everything about it, especially celebrating Jesus who is the Reason for the Season. This also means finishing that last minute Christmas shopping, wrapping the gifts and preparing all of the food. Not to mention, planning what you will wear for the big day. I love choosing my outfit for the most important day of the year besides Easter and the accessories that I will wear with it. This year I have decided to wear these beautiful Kendra Scott "Lee" Drop Earrings in Rose Gold that I ordered from Nordstrom via Brandzaffair. Brandzaffair features a variety of different brands and stores on their website. It aims to make online shopping a more social experience as you can use screensharing, video, and chat to shop each brand or store, like Nordstrom, from where my earrings were ordered. For each brand/store, they also feature Brandzaffair Bargains, showcasing what's on sale. You can click on a certain brand name and see all of the items that are on sale throughout the internet without having to open up separate searches. It lets you find the best deal which is always an advantage. A good deal always makes me HAPPY! It makes your online shopping experience so much more enjoyable and definitely much easier. These earrings are by far my favorite earrings. I love the fact that they are small and can be worn with almost anything. 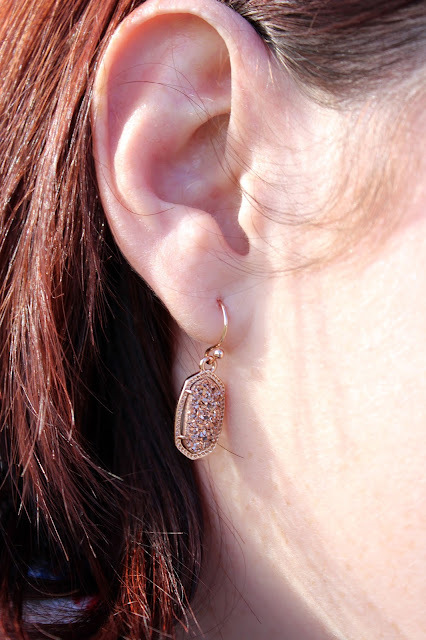 The Rose Gold is the perfect color to be worn all year around especially during Fall and Christmas. Gold is the IT color for Christmas this year. These earrings are just gorgeous. I will most likely be wearing Red for Christmas and these earrings will add the perfect touch to my outfit. If you are still searching for that perfect gift for that special someone in your life, then these earrings are just perfect for Christmas. I can assure you that no woman will be disappointed with these. My experience with Brandzaffair was wonderful. It made my shopping for the perfect pair of earrings so much easier. When I placed my order, these earrings came in less than a week. Brandzaffair made my shopping experience quick and convenient, which makes me one happy lady. I was able to find the earrings that I had longed to find in just one quick search. What accessories are you planning to wear on Christmas? Any certain color theme that you are going with? Check back soon to see How I Styled these Rose Gold Earrings for Christmas! Merry Christmas Everyone! Disclosure: Products were provided via Brandzaffair.com. The opinions are those of mine and not indicative of the opinions or positions of Brandzaffair. Hello everyone! Welcome to the weekly High Five For Friday linkup hosted by Tif@ Bright On A Budget, Katie @ Cup of Tea, Caitlin @ Coffee With Caitlin and myself. We're glad you're here! 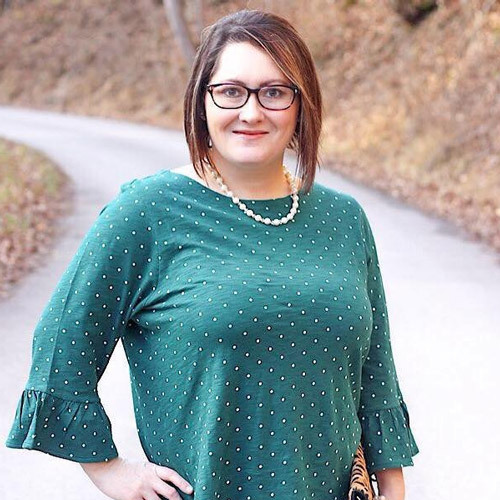 This week's featured blogger is Tabitha from A Hundred Tiny Wishes. Tabitha is a Lifestyle and Beauty Blogger. She is a wife and a mom. Tabitha also is an Etsy shop owner. She recently shared a post of her Favorite Christmas Cookies and Candy that looked amazing. Now I'm hungry lol! You will definitely want to check that post out if you are looking for some dessert inspiration for Christmas. Please stop by and say hello to Tabitha. 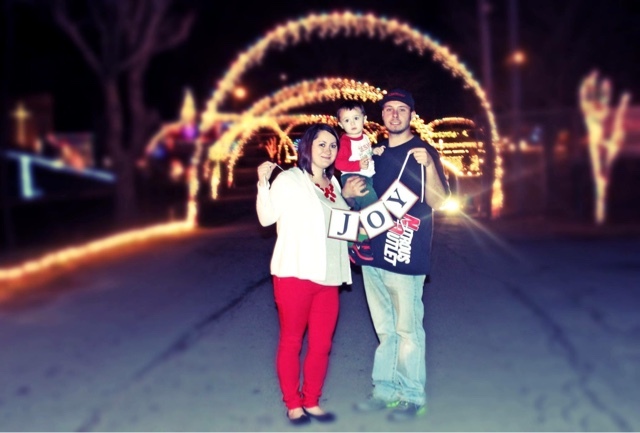 1) Going to see Christmas lights- We go look at lights every year but this year was so much fun with Raylan. He loved them and kept saying Awe! 2) Seeing a Christmas play- I try to watch one every year. Raylan was too wild to be in one this year. He wouldn't sit still long enough to participate lol. Last year he was a donkey. 3) Making Cookies for Santa- This was one my mom always did for my brother and I. Even when we got older she still made us cookies every Christmas Eve. This is one I want to continue on with Raylan. We did a mini photo session here at home. I can't believe I caught the milk in action as he was pouring it out. This photo was too cute not to share. I love capturing these little moments. 4) Watching Christmas movies- I love love love Christmas movies. My absolute favorite two are Frosty the Snowman and National Lampoons Christmas Vacation. Justin and I always watch National Lampoons together. 5) Last but certainly not least is baking- Growing up, my parents and I always baked several goodies for Christmas. One of my favorite memories is when my mom and dad got me an Easy Bake Oven for Christmas. That really set my love for baking in motion. To this day, I still help my dad bake for Thanksgiving and Christmas every year. It's a lot of work but I truly enjoy it and making wonderful memories. Thanks for linking up! High Five For Friday will be back the week after Christmas. We will be taking Christmas off. Have a very Merry Christmas! I can't wait to hear all about everyone's Christmas! Don't forget to keep Christ is Christmas for Jesus is the Reason for the Season. God Bless You! Today is the day that I dread all year round. It's the anniversary of my mom's passing. 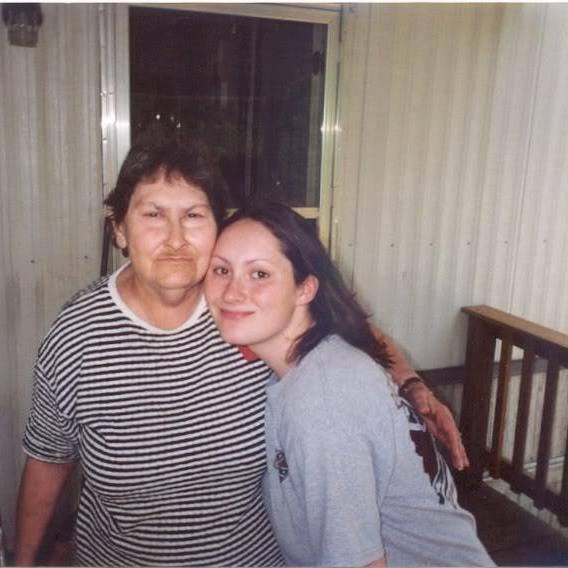 Today makes ten long years since she has been gone. 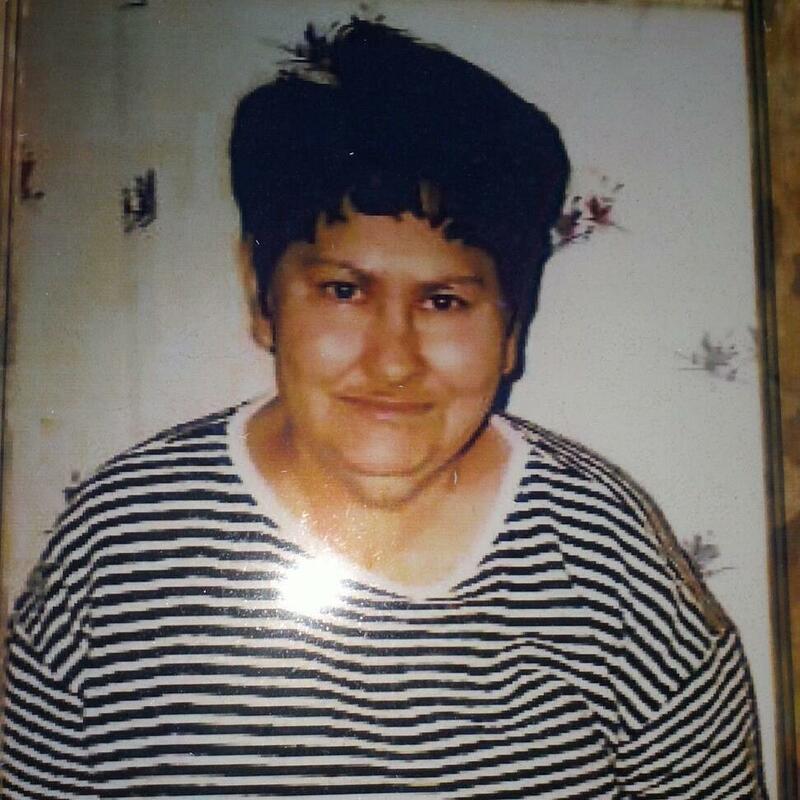 On this day ten years ago, I not only lost my mom but also a best friend. My mom was truly A Remarkable Woman. She was such a godly woman. I considered her to be a Proverbs 31 Woman. She had the strongest faith of anyone that I know. She faced a tremendous amount of trials and tribulations with open heart surgery and cancer, yet she still kept the faith. My Mom taught me all about Jesus at an early age. When I was only one week old, she had me in church. Even as I got older and tried to come up with excuses as to why I didn't want to go to church, she still made me go. I'm so thankful that she did. She was so dedicated to God and going to church. No matter how sick she was, she hardly ever missed church. My Mom instilled in me so many morals and values that I still hold onto. She taught me to love and be kind to everyone. She also taught me to not pass judgement for that is only God's place to do that. She taught me to always lend a helping hand and to help those who are in need when I can. She had such a beautiful soul. She was a friend to everyone. Like I said, she was my best friend. She passed on her love of drinking coffee, baking and reading down to me. 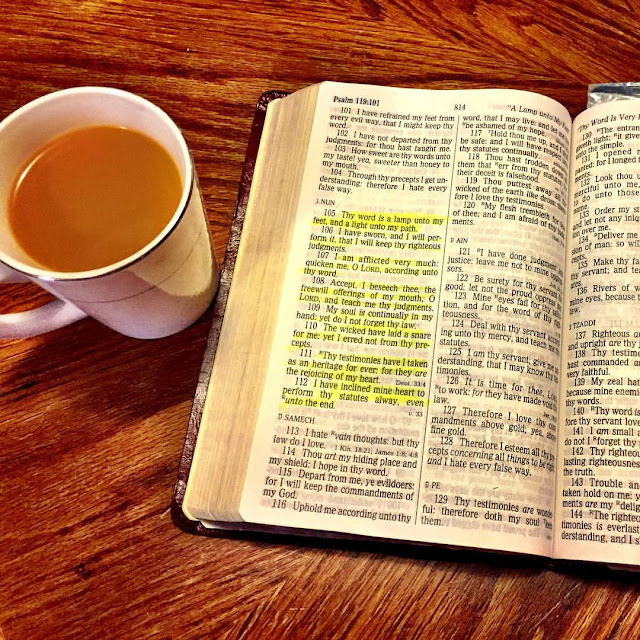 She especially loved to read the Word of God. She was everything and more that a mom should be. So today I will have a cup of coffee and try to think of only the good times that we shared. I will remember all of our wonderful memories. 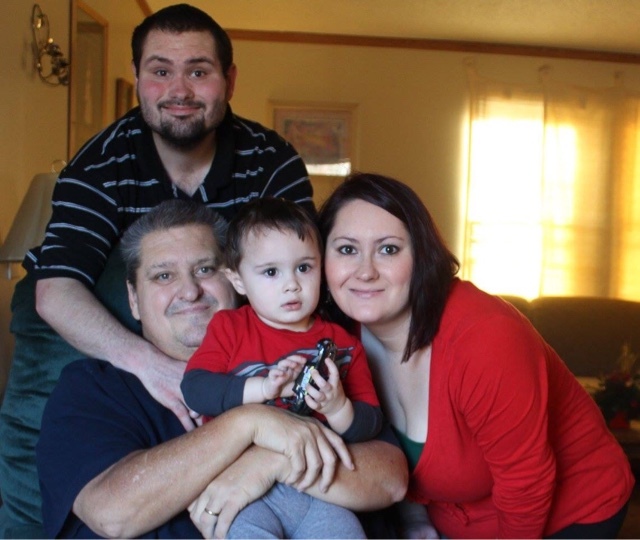 I will try not to dwell on how Ovarian Cancer took her away from my dad, my brother and I. For I know that she is in a much better place than we are. She is healthy and is sick no more. She is rejoicing with the angels and I know I will see her again. I just only wish she could have seen her grandson. She would have loved Raylan. However, she lives on through Raylan. I see so much of her in him. I was truly blessed to have my mom and now I truly believe that God and my mom blessed me with Raylan. I was blessed to have a remarkable woman for a mother. She was a Godly woman that I can only hope to be like one day. In memory and In honor of my mom, I try to raise awareness for Ovarian Cancer. It is such a gruesome disease that no one should ever have to endure. Please help me spread awareness too. Let's make Cancer a thing of the past. Cancer needs to be no more. If you would like to help raise awareness please click here. I promise you won't regret it! I even raise awareness on my Christmas tree! Thanks for taking the time to read about my mom. If you would like to learn more about her and the battle that she fought, you can do so here. Before you leave I want to share with you my mom's favorite Bible Verse. We even put it on her headstone. She quoted this verse more than any other verse. This verse is a good reminder to not be sad, but to rejoice for she is with the Lord! Thanks for stopping by! God Bless You! Can you believe Christmas is almost here? I sure can't! I feel like this Christmas Season has been rushed since Thanksgiving was so late in the month. 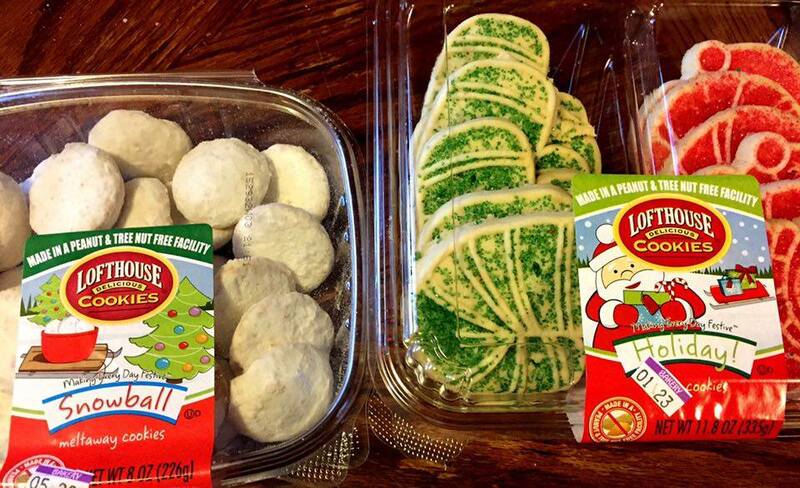 It's time to get those last few Christmas Parties in order or time to fix your favorite Christmas desserts. If you are looking for a delicious yet easy dessert for an event or just for yourself, then I have the perfect treat for you. Just about everyone loves Gingerbread, especially during Christmas. However, I have a super easy way to enjoy your gingerbread. 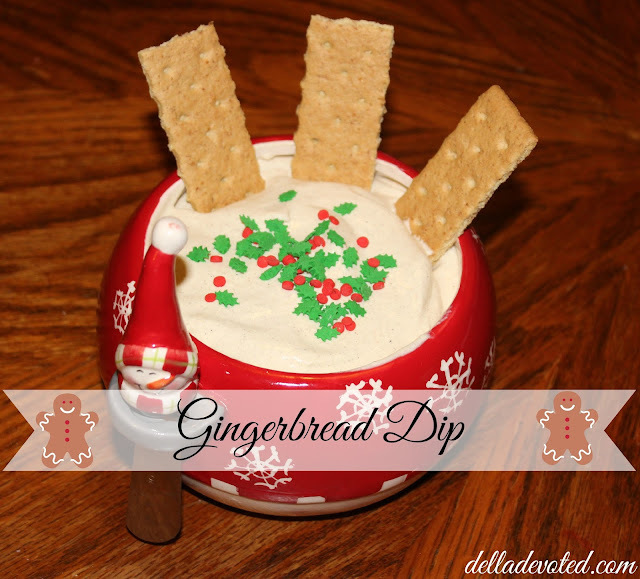 I present to you....Gingerbread Dip! First, Mix Pudding according to package directions. Mix Well until the dip is somewhat thick. Refrigerate for an hour or so until the dip isn't runny and is good and thick. Don't forget to add your favorite Christmas Sprinkles! I'll be the first to admit that I'm not usually a Dip person, but this dip changes that. It is so delicious and tastes just like Gingerbread. It's a nice way to enjoy your gingerbread without having to fire up the oven. It's perfect for any event or even for the Christmas Family Dinner. 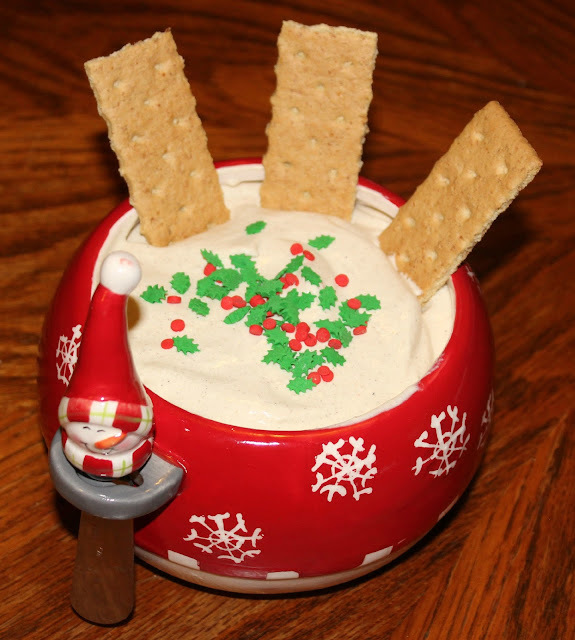 It's so simple to make and it's sure to be a crowd pleaser. It's my new favorite way to eat Gingerbread! 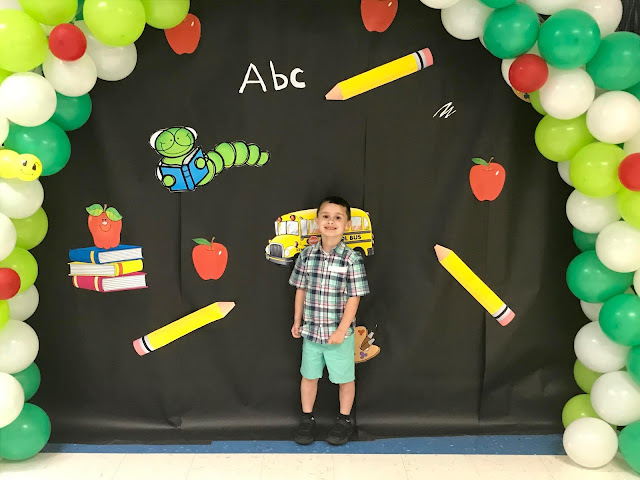 This week's featured blogger is Bri @ School in Our Slippers. 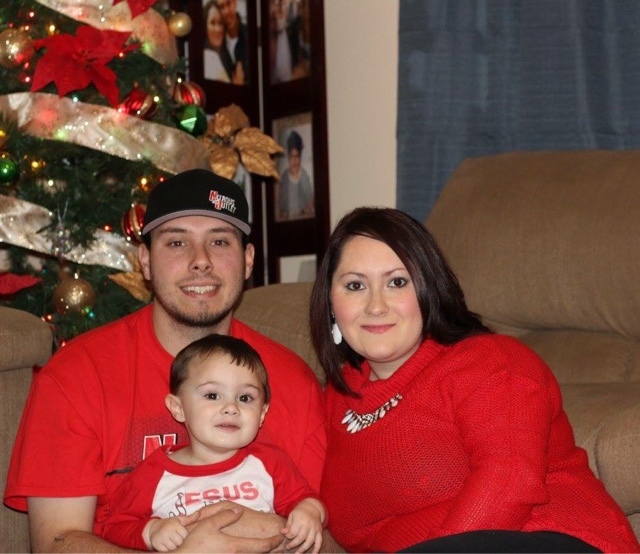 Bri is a wife and a mom of 3 who home schools her children. She blogs about her life and she posts some delicious recipes. I truly enjoy reading her posts and learning more about her and her family. Please stop by and say hello to Bri. This week has been a great week. 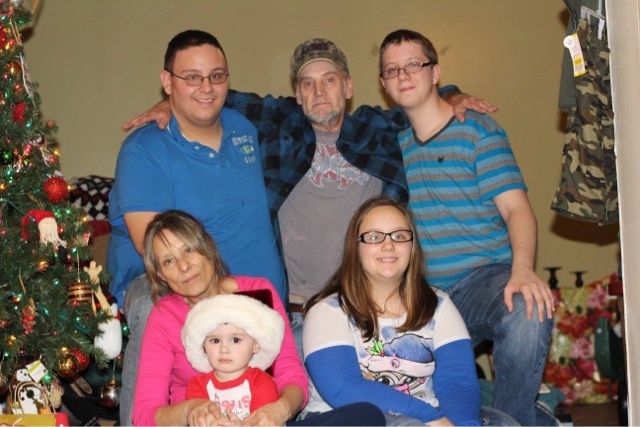 Christmas festivities were kicked in high gear over the weekend and they are still continuing. I love the Christmas Season. 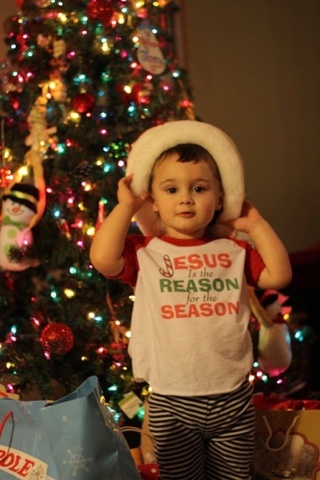 Remember Jesus is the Reason for the Season. 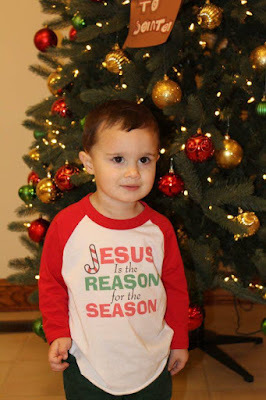 1) Last Friday We had our Ladies Christmas Party at Church and of course Raylan tagged a long too. He's my little sidekick. It's a nice little annual event where the women get together, have dinner and exchange gifts. I truly enjoy attending this every year. 2) On Saturday, Our Relay for Life team hosted a Photos, Crafts, Cookies and Face Painting Event with Santa. 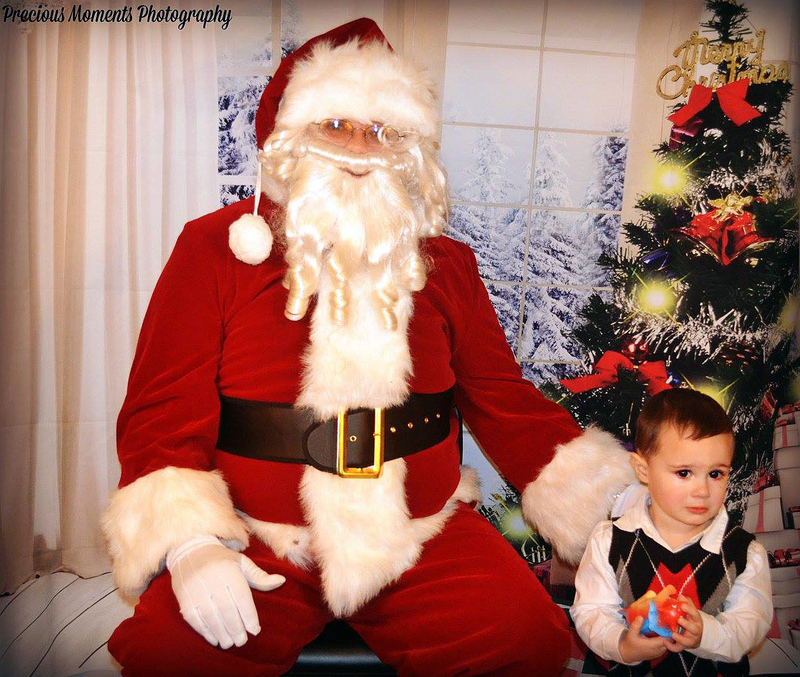 Raylan had so much fun all except for the Santa Part. 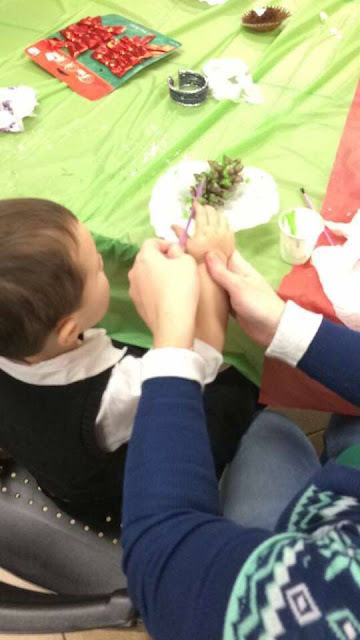 He did enjoy the crafts and face painting though. We made some special memories here and the event was a success. This was the ornament. He painted and did the glitter all by himself. He did so well. I'm proud of my baby boy. However, he did not enjoy this part. 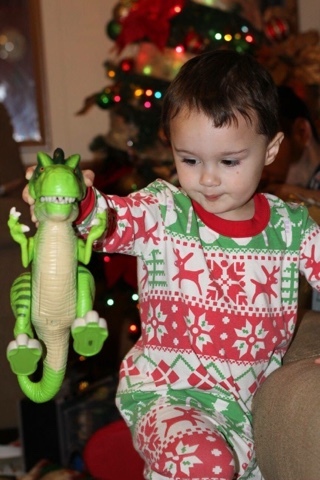 He had to have his dinosaur too. 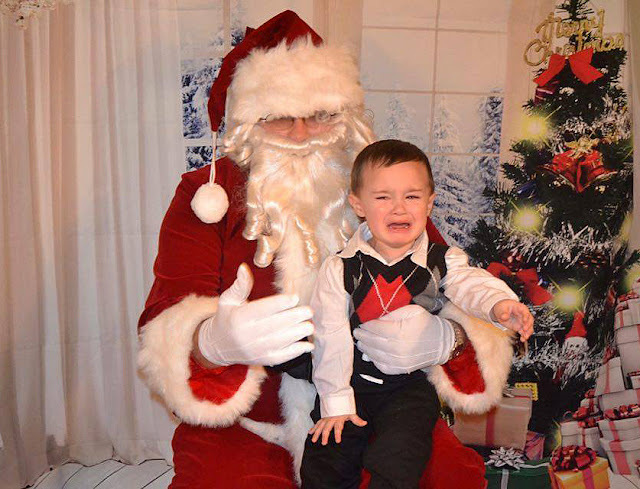 He didn't like Santa at all and didn't want anything to do with Santa lol. 3) Did you get the chance to read Monday's blog post titled Christmas Cards for Blaine? If you haven't read it, please do. It's about my brother. He truly enjoys receiving cards in the mail. It makes his day. 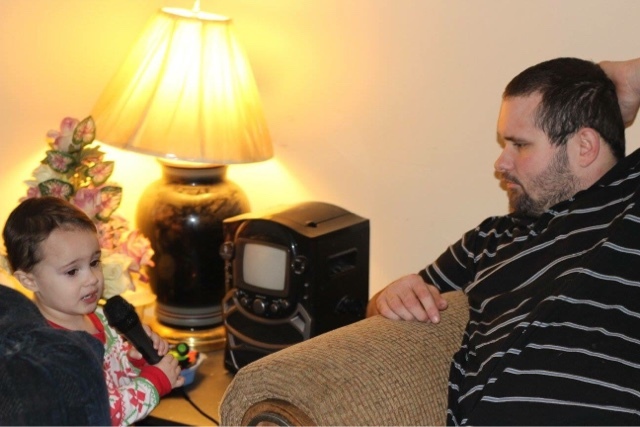 You can read his story here. 4) I put together a list of the Top 11 Women's Gifts for Under $25. You must check it out. These gifts are sure to please any woman. There is something for all ages. You can view that guide here. 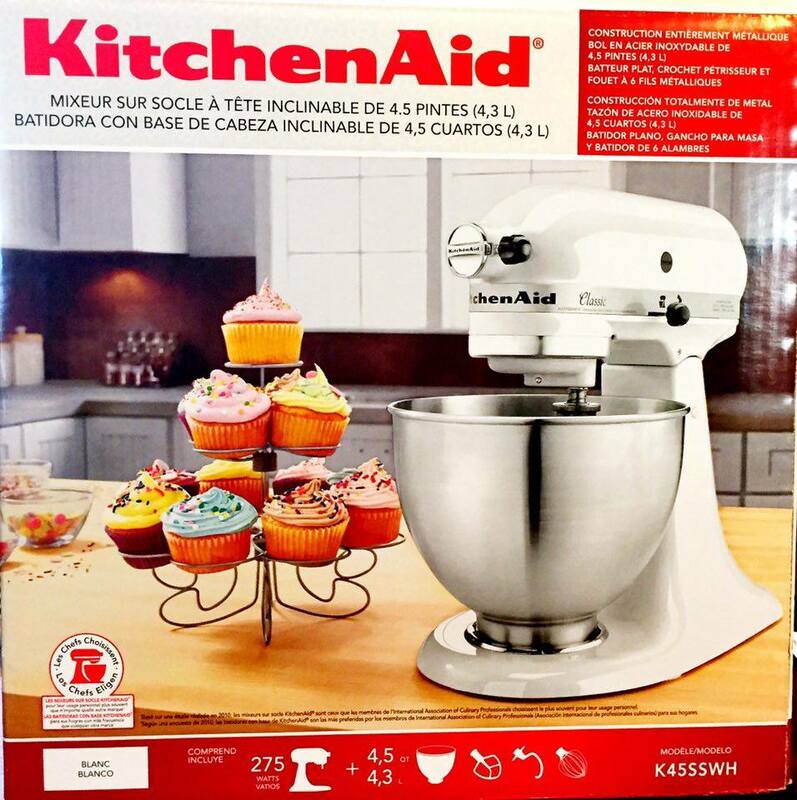 5) I asked Santa for a new mixer for Christmas because mine kicked the bucket. Well when I woke up yesterday morning my dad called me to come up to his house. He said I have something I want you to see. Bless his heart he had gotten me a new mixer. I love my sweet precious daddy. He is simply the best and always so thoughtful. I was one happy lady. I have always wanted a kitchen aid mixer. Let the Christmas baking begin! Well that's a wrap for me. I hope everyone has a wonderful weekend. May God Bless you! Christmas time is almost here. With just a little over two weeks away, we are down to crunch time. We have to get that last minute shopping done. However, it's hard knowing what to get people especially other women. It's hard to determine what they like. If you're like me, you like getting nice gifts but don't want to break the bank. Well fear not, I have compiled a list of my Top 11 favorite gifts for under $25. There is something for all ages on this list that any woman is sure to love. To purchase any of these items just click on your item of choice and the link will re-direct you to checkout. This list is currently all of my favorite things, especially the scents. There is something for the beauty lover, the fashionista, the jewelry collector, those who love to wear perfume, the candle collector and the busy women who like to keep it simple yet stylish with a clutch. I hope this list has been beneficial in your search for the perfect gift for the women in your life. Have fun and good luck shopping. God Bless! This is my brother Blaine. He is 23 years old. 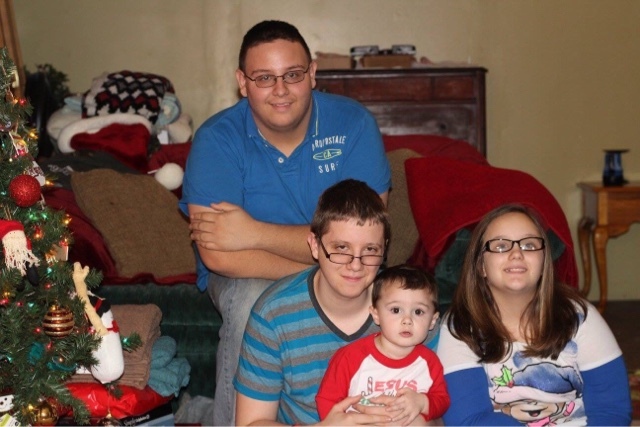 He was born premature when my mom was only 7 and a half months pregnant. At birth, he only weighed 1lb and 7oz. He was 8 inches round and 12 inches long. He was so tiny. He had to spend 5 and a half months in the NICU. He was on life support several times. The doctors gave up hope for him but my mom never did. She put her faith in God and she knew that he would see my brother through. Isn't God good! He has overcome so many obstacles in life. 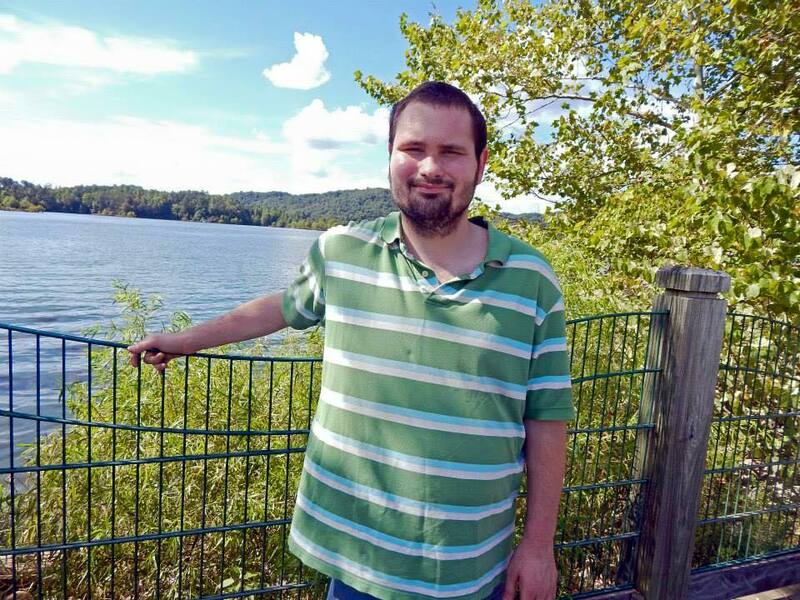 My brother has had to endure many health and mental issues throughout his life but that does not define who he is. He has a heart of Gold and is so loving. He sees the true beauty of life and finds happiness in everything. He teaches us what life is truly about. He is my brother and my best friend. Thank you in advance for any cards that you may send. I know he will be so excited. Thank you and May God Bless You! Merry Christmas! 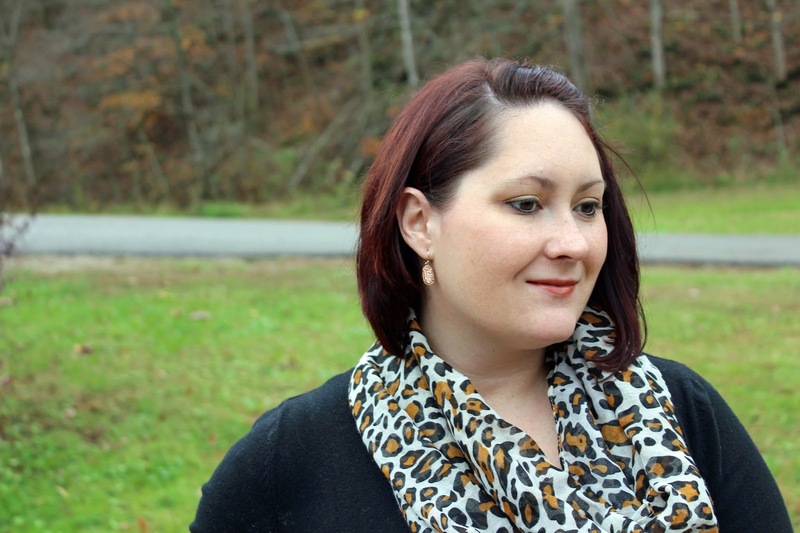 This week's featured blogger is Tanya @ Prairie Girl . Tanya is a wife and small town girl who loves her cats and loves to travel. She blogs about her traveling adventures, her favorite recipes, beauty and DIY projects. She has a really great blog that I know you will enjoy reading. Please stop by and say hi to Tanya. This week has been a slow week which is exactly what I needed and for that I am thankful. The hustle and bustle of Thanksgiving and Black Friday wore me out. Sometimes we need a little relaxation and that's what I did this week. Anyway let's jump right to my favorite moments and things from this week. 1) Did you see the post I did on Monday of my Favorite Children's Christmas Books? It's packed with book ideas to read to your child during Christmas or get as gifts. Giving the gift of reading is always such a wonderful gift. 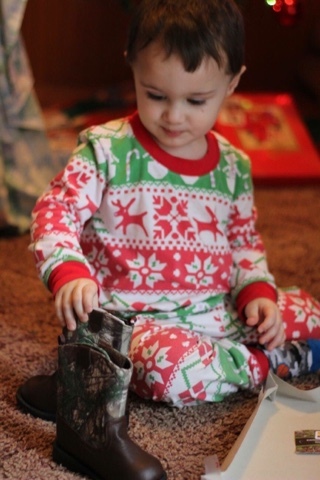 2) On Tuesday Justin and I started our countdown to Christmas with Raylan. 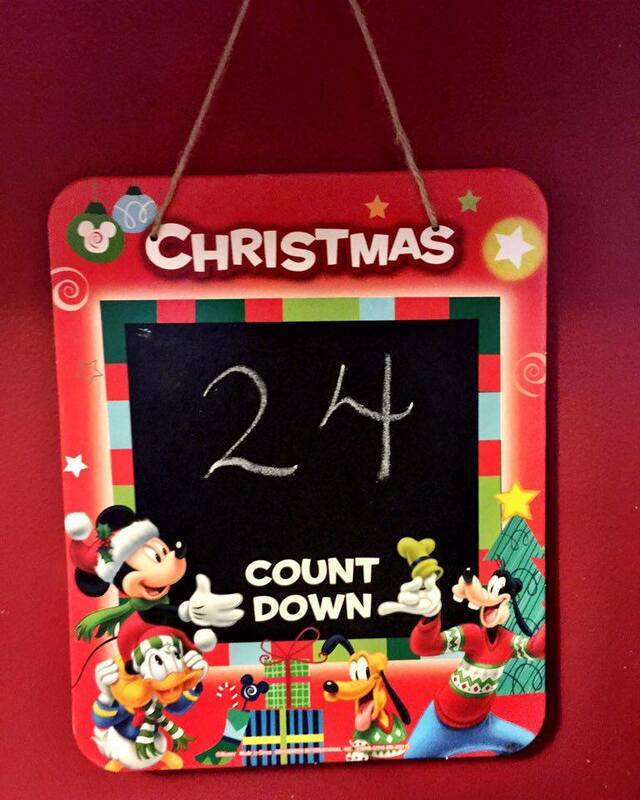 We found this adorable little Mickey's Christmas Countdown Chalkboard at our local dollar tree. It was too cute to pass up. 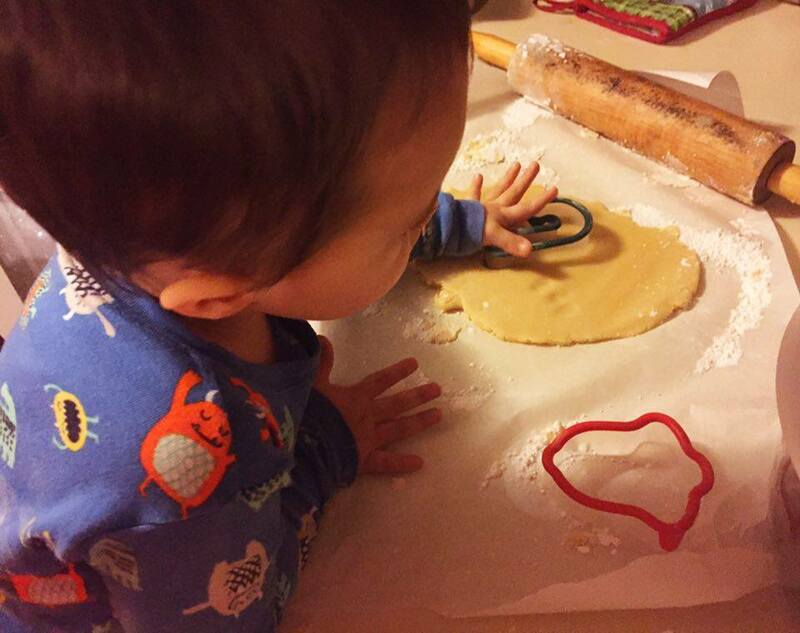 3) Raylan and I jammed out to Christmas Carols and made Christmas Cookies one night while Justin was at work. Raylan is such a good helper. He always has a ton of fun helping mommy in the kitchen and I have just as much fun with him if not more. 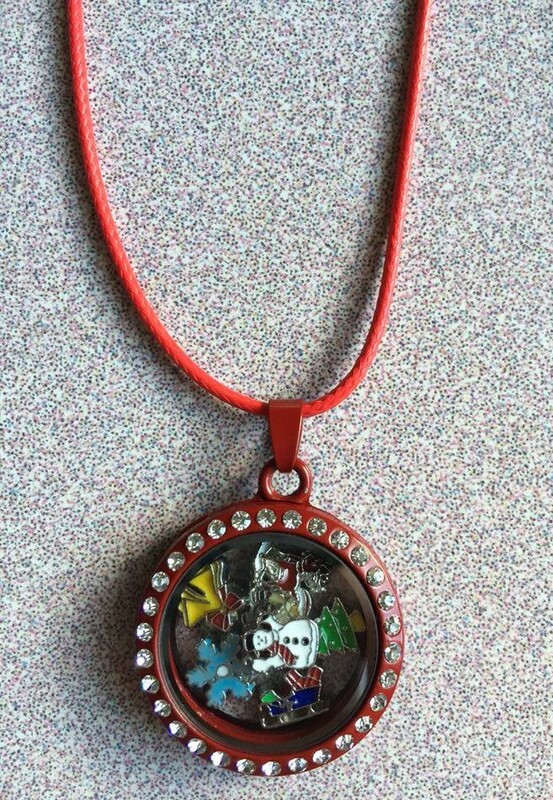 4) I purchased this adorable Christmas Red Floating Locket with Christmas Charms. I'm in love! As you can tell, I'm like a kid myself. I get so excited for Christmas. We are getting ready for Christmas and enjoying every little moment. I want to carry on and start as many traditions with Raylan as I can. He is only little once so I want him to have magical experiences during this joyous Christmas season. Everyone have a safe and wonderful weekend. God Bless you! Thanks for linking up!